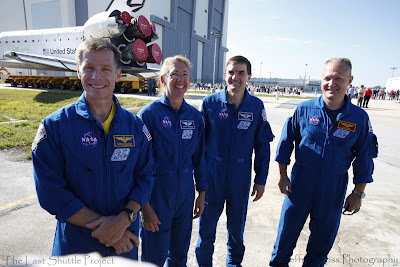 The next day the press was allowed to photograph the crew of the next launch… I mean the FINAL launch! That’s the crew of Space Shuttle Atlantis, STS-135. You can see the Atlantis behind them, getting ready to enter the VAB for the very last time. 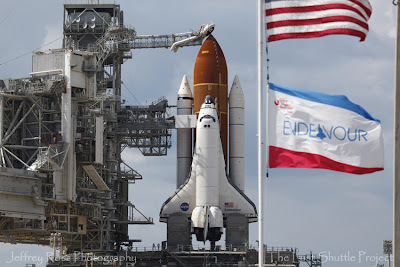 And I have been trying to take a photograph of this Endeavour flag every time we go out to the launch pad. It’s located above the guard station. Every chance I’ve had a chance to get it… it’s blowing the wrong way! 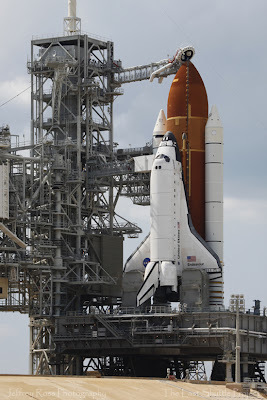 The ‘Endeavour’ on the flag was always backwards. Luckily, favorable winds were blowing this time. I stood on the rear of the van for the perfect composition. Time for bed! I’ll be up by 3am to get ready for the 9am launch. A mighty band of brave morel mushroom hunters searched the countryside and came back with a good pile of the yummy treats! Everyone in our hunting party found some. And I’m happy to say that Catherine, on her first morel hunt ever, found the biggest one. 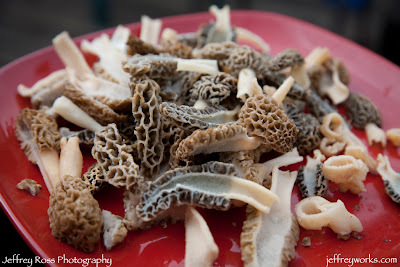 If you have never had the pleasure of eating morel mushrooms then you are really missing out. They have a distinct meaty flavor, very different from a regular mushroom. I like to saute them up in butter and wine, with some salt splashed on top. They go great with steak. But I fixed some pork chops for this batch. I saved enough for one more meal… and I’m already looking forward to it. 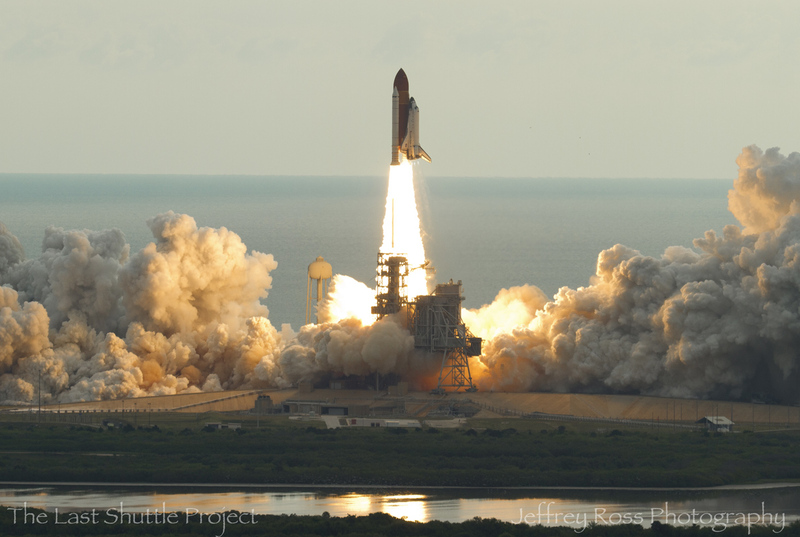 I thought I’d share a couple of Last Shuttle Project videos that we made over the last few days of this trip. On this first one you can definitely tell that I thought we were still going to launch in a few days.